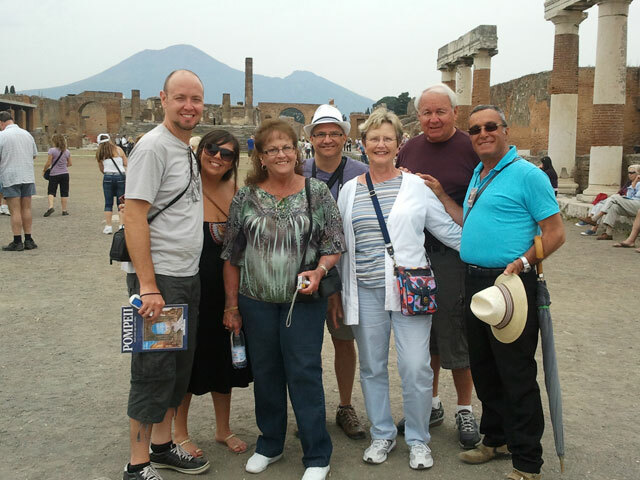 Our Driver come to pick you up at the hotel or port in order to drive to: Pompeii where an expert archeological local Pompeii guide will take you through the past, back to Pompeii life . An entire city, wich was quickly surrounded by a huge cloud of poisonous and toxic gas, with a rain of ashes and temperatures exceeding 500 degrees. a city abandoned in a large hill of volcanic ash. Brought to light only after 1700 years.You will avoid lines of groups , we want you to enjoy with us a great of Pompeii ruins A classical archaeological journey through the ancient city..
After Pompeii tour You will reach the most important winemaker of Lachrima Christi on the slopes of Mt. Vesuvius for a great lunch break !!! After your lunch the driver will take you to the Volcano in order to reach the crater. At the end of this wonderful tour the driver will take you back home. Recommended confortable shoes.. Duration from Naples or Sorrento 8 hours. From Rome 11 hours.